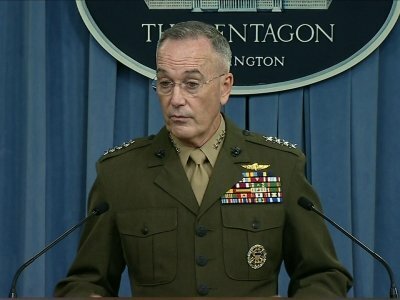 Dunford acknowledged that nearly three weeks after the attack, many questions remain. They include whether the U.S. had adequate intelligence, equipment and training, whether there was an accurate assessment of the threat in that area, and how the U.S. troops became separated in the fight. Another question is why it took so long to recover the body of a fourth American serviceman, Sgt. La David Johnson, who was missing for two days before his body was found by Niger troops and turned over to the U.S. He said the military will try to wrap up its investigation into the incident as quickly as possible. The FBI is also investigating, but that probe likely focuses on counterterrorism and any information or intelligence related to threats to the U.S.